• Enjoy complimentary benefits that offer an average value of $550 USD at over 1,000 extraordinary properties worldwide when you book Fine Hotels & Resorts. This is a card for the well-travelled executive, someone who appreciates and seeks the finer things in life. 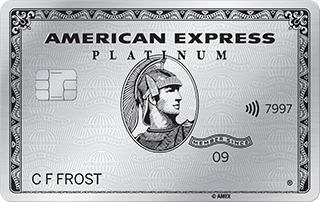 With an annual fee of $699, this limitless card is a premium offering from American Express that equips cardholders with a number of prestigious benefits including travel credits, companion tickets, complimentary golf memberships, and extensive airport perks including free valet parking. If you're an executive on the go, this card is worthy of your consideration. It has everything you need to take you where you're going.